Van Kempen gives these delicate drop earrings a graceful touch of Victorian flair. 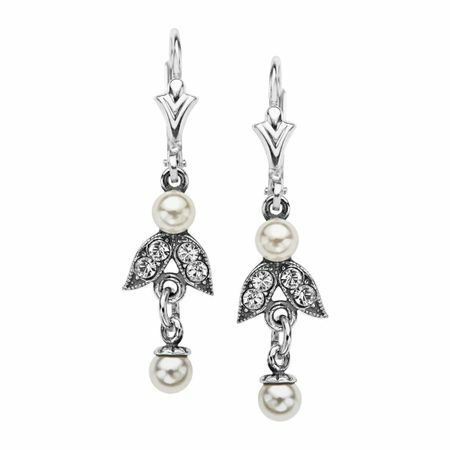 Glistening simulated shell pearls are embellished with Swarovski-crystal encrusted leaves in a setting of sterling silver. Pieces measure 1 5/16 by 5/16 inches.